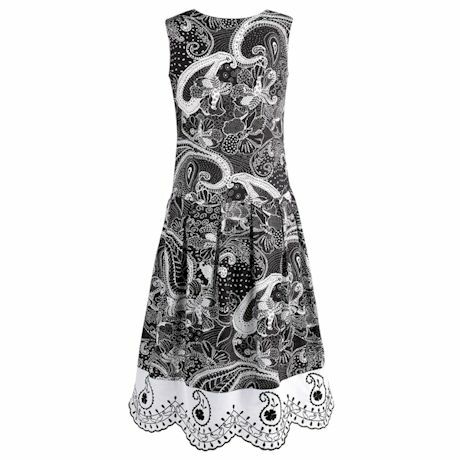 Dress in the drama of understated black-and-white, in a paisley pattern that elevates a simple sleeveless cut. 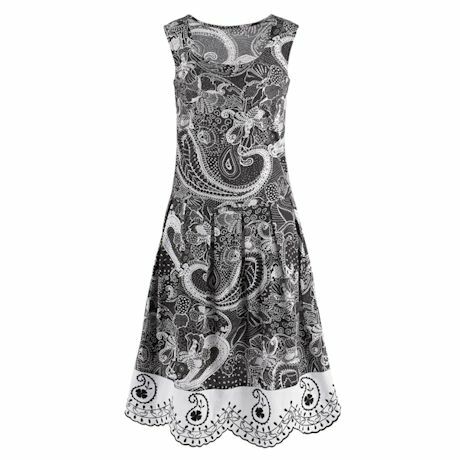 Reverse pleats at the waist create a slender look; embroidery adds detail to the scalloped hem. Hand wash. 100% cotton. Imported. S(6-8), M(10-12), L(14-16), XL(18), 1X(18W-20W), 2X(22W-24W), 3X(26W); 45"L.